Greg Babiec received his master’s degree in physical therapy from Springfield College in 1996. He began his career working for the team physicians at the University of Rhode Island working with Division 1 athletes in all sports. After moving to New York City and practicing for 15 years, he cofounded Evolve Physical Therapy & Sports Rehabilitation. He is certified in two advanced manual therapy concepts and is also a Certified Strength and Conditioning Specialist through the National Strength and Conditioning Association (NSCA). Greg specializes in all sports and orthopedic injuries, with a focus on a hands-on approach and exercise prescription to get people moving and feeling better. He recently became a Board Certified Sports Specialist, which is one of the highest honors in the physical therapy profession. Jason Roth is a New York State licensed Physical Therapist and is a board certified sports specialist. He is a golf certified instructor through The Titleist Performance Institute and holds a mastery certification in manual therapy. 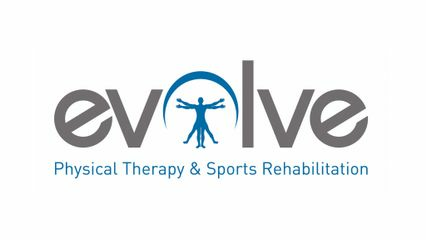 Jason is a Graston technique provider and is co-owner and director of Evolve Physical Therapy and Sports Rehabilitation. Jason earned his Bachelors degree in Health Sciences in 2000 and Masters degree in Physical Therapy from Touro college in 2002. He is a certified personal trainer through the National Academy of Sports Medicine as well as through the Aerobics and Fitness Association of America. Jason sits on the board for the Syosset Baseball Association, acting as sports medicine advisor and is a Master Clinician for NYU’s doctorate in physical therapy program as well. He also participates in the United States Olympic Committee sports medicine volunteer program providing support at USOC training centers. Physical therapist specializing in sports rehabilitation, post-operative care, gymnastics, dance, sports performance, general rehabilitation, and gait / balance training. Katie Cyrana earned her Doctorate of Physical Therapy from New York University. Katie is a Certified Strength and Conditioning Specialist and a licensed Power Pilates mat instructor, and she specializes in the treatment of orthopedic and sports-related injuries, as well as post-surgical rehabilitation. Before pursuing her post-graduate education, she obtained a B.S. in human physiology at Boston University. In addition to being a licensed physical therapist, Katie is active in running clubs throughout New York City and enjoys competing in marathons and triathlons. As an avid runner herself, she specializes in treatment of running injuries, including biomechanical video running analysis and comprehensive movement assessment. Katie recently became a Board Certified Orthopedic Specialist, which is one of the highest honors in the physical therapy profession. John holds a Masters in Physical Therapy degree from Ithaca College and has trained in every field from neurology to pediatric rehabilitation to sports medicine to post-op orthopaedic rehabilitation. For 15 years, he has specialized in rotator cuff/shoulder, cervical/lumbar, and knee pathologies. John aims to help patients avoid surgery when possible and has a special focus on postural education and ergonomics. There is a $75 fee for appointments cancelled with less than 24 hours notice.Thank you.